Regular council meetings are held the second Wednesday of each month at 6:30 p.m. Lot owners will have up to one year to begin construction or move a residence onto their lot with maximum lot coverage of 50%. A drainage plan must be submitted to council. Water and sewer services must be installed by a reputable contractor who has been approved by council. Once construction begins your buildings are required to be inspected by our building inspectors, Professional Building Inspections, with all costs to be paid by the property owner. 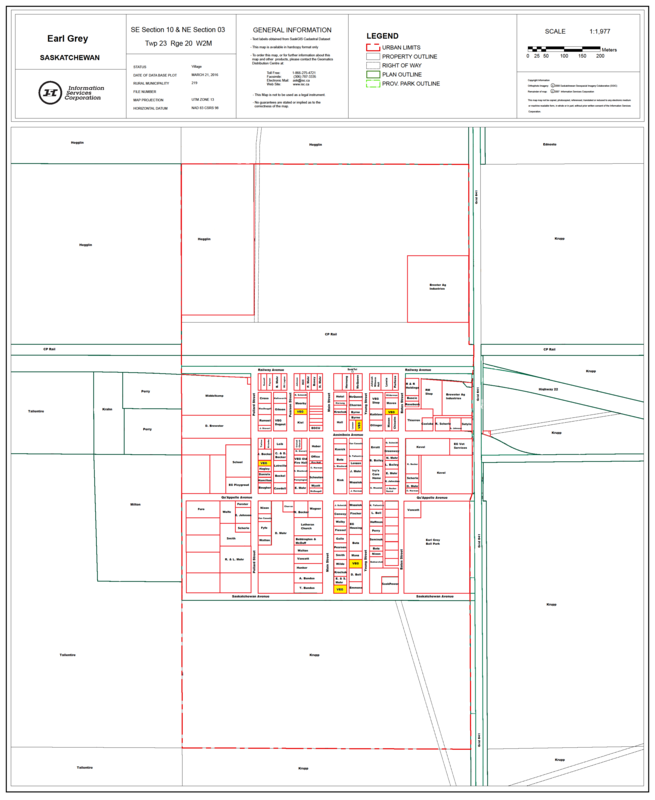 The yellow highlighted lots on the village map are for sale.